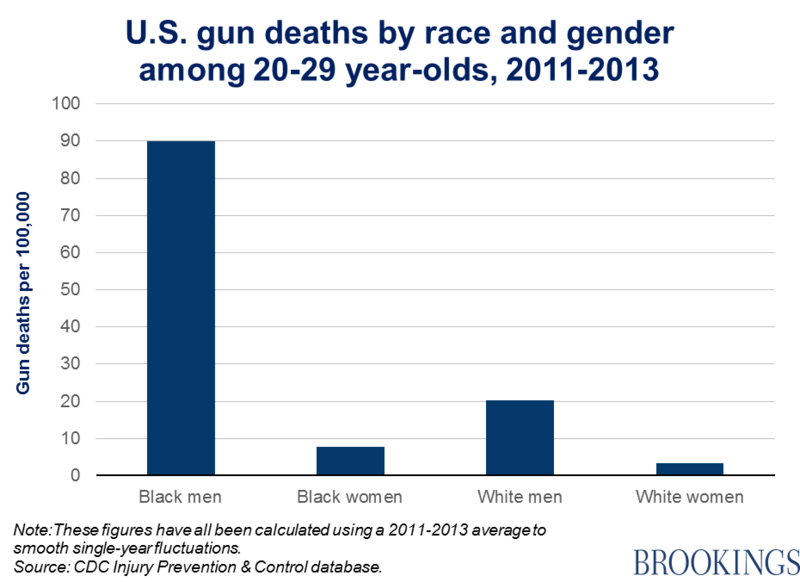 In 2013, firearm deaths accounted for over 11 percent of all years of potential life lost among the black population, but less than 6 percent of all years of potential life lost among the white population. The firearm homicide rate among black men aged 20-29 is about 89 per 100,000.To put that fact in some international perspective, in Honduras—the country with the highest recorded homicide rate—there were 90.4 intentional murders per 100,000 people in 2012. 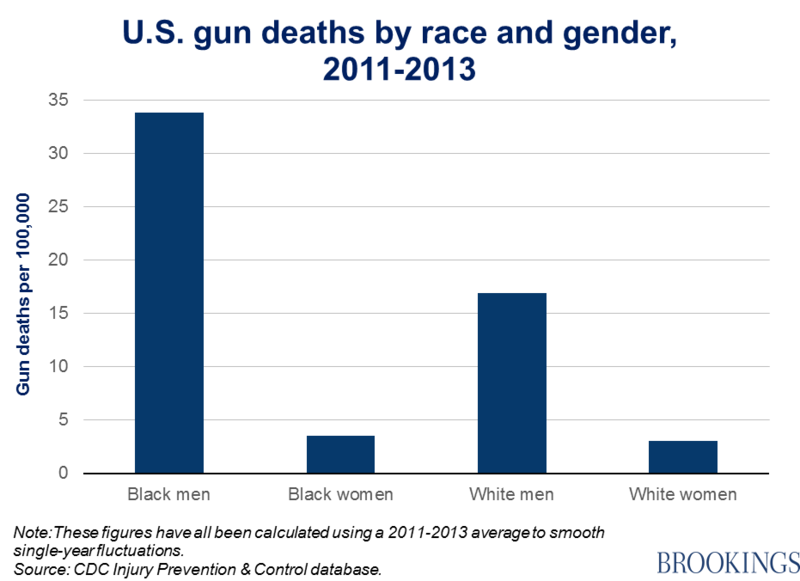 That includes all means, not just firearm homicides. Gun violence can have a series of serious snowball effects in education, health, incarceration, family instability, and social capital. To take one example, anxiety levels rise and cognitive functioning worsens among school children following a violent crime within half a mile of their home, according to a study by Dana Charles McCoy, C. Cybele Raver and Patrick Sharkey. Individuals who witness violence are also at increased risk for a variety of mental health issues, which can manifest as post-traumatic stress disorder, depression, poor academic performance, substance abuse, risky sexual behavior, delinquency, and violent behavior, notes David Hemenway. And as Wilson suggests, these costs weigh largely on the shoulders of black Americans. 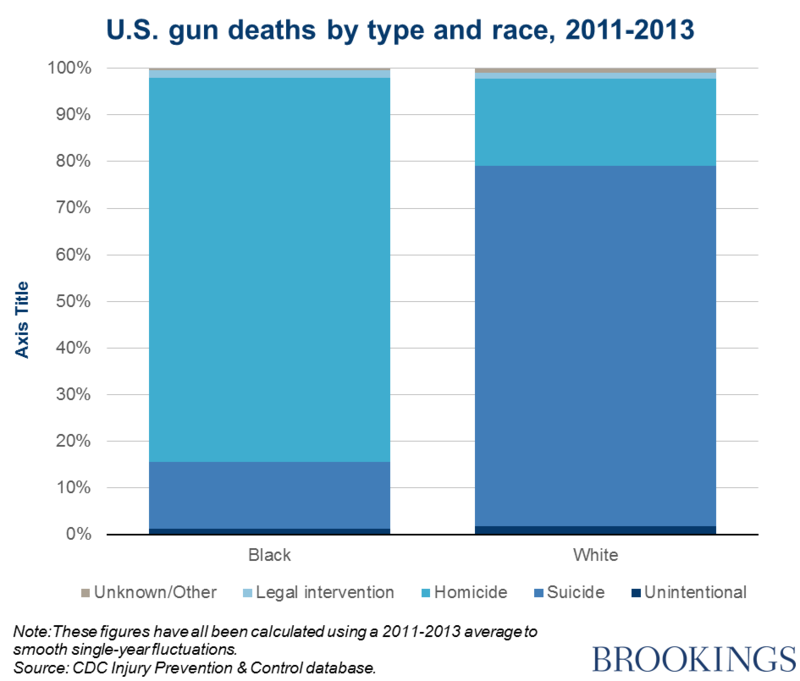 Gun violence is part of a vicious cycle of race and inequality in the U.S., reflecting existing social inequalities, and also making it even more challenging for young black people, especially young black men, to escape poverty and violence.